Neiphiu Rio along with senior BJP leader Ram Madhav met Governor PB Acharya at his house today. 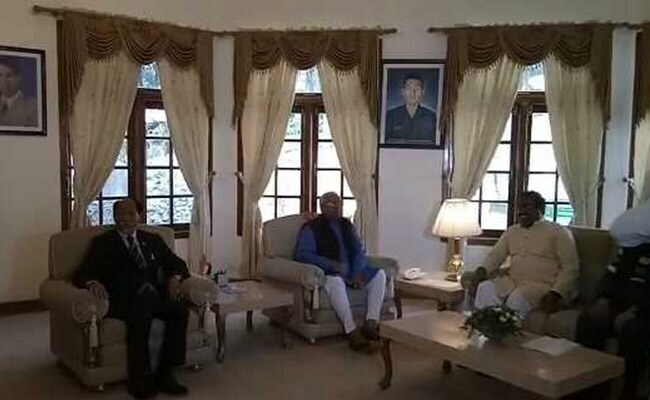 Kohima: Former Chief Minister of Nagaland Neiphiu Rio along with senior BJP leader Ram Madhav and other candidates who joined the BJP-NDPP alliance met Governor PB Acharya at his house today to stake claim to form the government. The BJP and its new partner Nationalist Democratic Progressive Party (NDPP) will form the government in the state with the help of two candidates who offered their support soon after the assembly results were announced. The BJP and the NDPP together bagged 29 seats in Nagaland, as did outgoing chief minister TR Zeliang's Naga People's Front (NPF), just two seats short of getting a majority. However, independent candidate Tongpang Ozukum and the Janata Dal (United) Nagaland decided to help the BJP reach the 31 mark in the 60-member assembly. Mr Zeliang had said his party would be happy to form a new government with its old ally, the BJP. But the BJP in its pre-election alliance chose Neiphiu Rio's new party and projected him as presumptive chief minister. For the BJP, forming government in Nagaland will mean consolidating its position further in the north east. 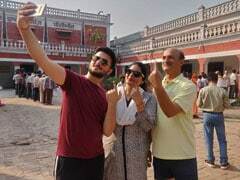 It has posted a big win in Tripura on Saturday, uprooting the CPM after 25 years of rule and ending the 20-year run of the Left party's Manik Sarkar as chief minister. In Meghalaya, the third north eastern state where votes were counted, a hung assembly means the BJP is in with a chance at forming government by tying up with regional parties. Having recently set up governments in Assam, Arunachal Pradesh and Manipur, the party's Mission North East is coming together.